Have you ever opened Google Analytics and felt your stomach drop? Back in October of 2016 that’s exactly what happened to us. 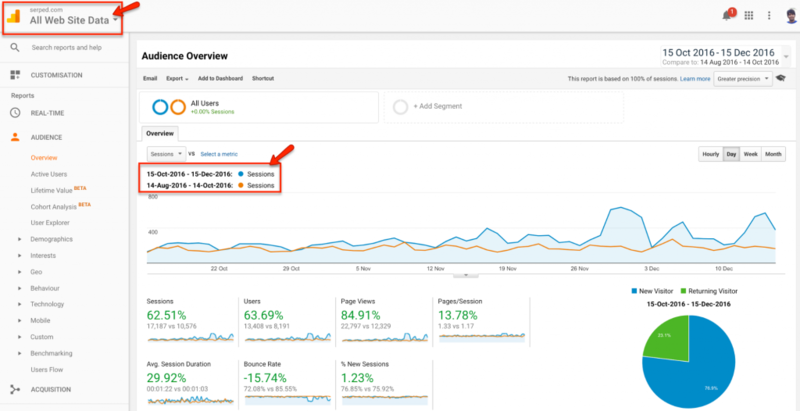 We took a dive into our traffic stats and realised we’d been doing an awful job of content marketing. So much for build it and they will come, right? The data we did have gave us confidence. On page times, bounce rates and shares were good. But we needed more people to see it. So, we set about creating a content plan that would improve our traffic, give us better visibility in Google and get a greater ROI on our content efforts. And just sixty days later we were able to see a 63% increase in our blog traffic, just by getting the basics right. The first step in the process was to identify just what it was that was going wrong. Problem one was initially solved by actually going out there and doing the distribution. Action, of all things, is the biggest cure there. But the second problem was a little trickier. We were trying to run our content marketing and our SEO as separate entities. We’d focus on one, or the other, and never both at the same time. We were devoting lots of time to each as an individual channel and getting, well…nowhere. Would it be possible to create a content marketing strategy that improved our SEO, and vise versa? We thought we could and set about trying to do it. 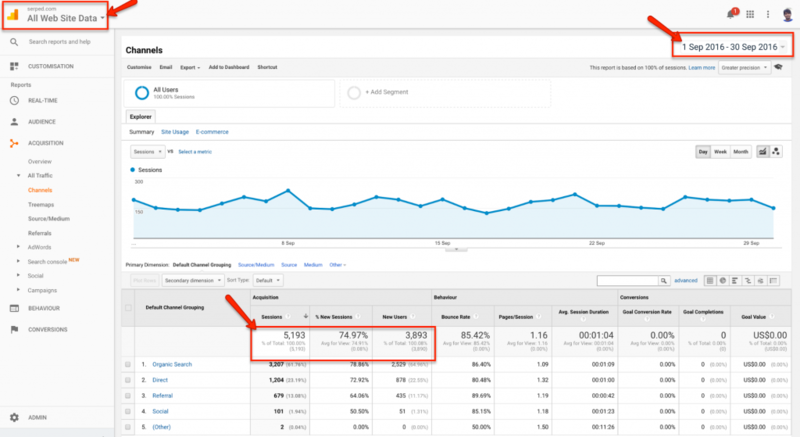 Using our Google Analytics data we identified the top 10 posts that were bringing us the most traffic through search engines. We then ran the articles through the SERPed What Ranks Where Tool to see which keywords they were ranking for. 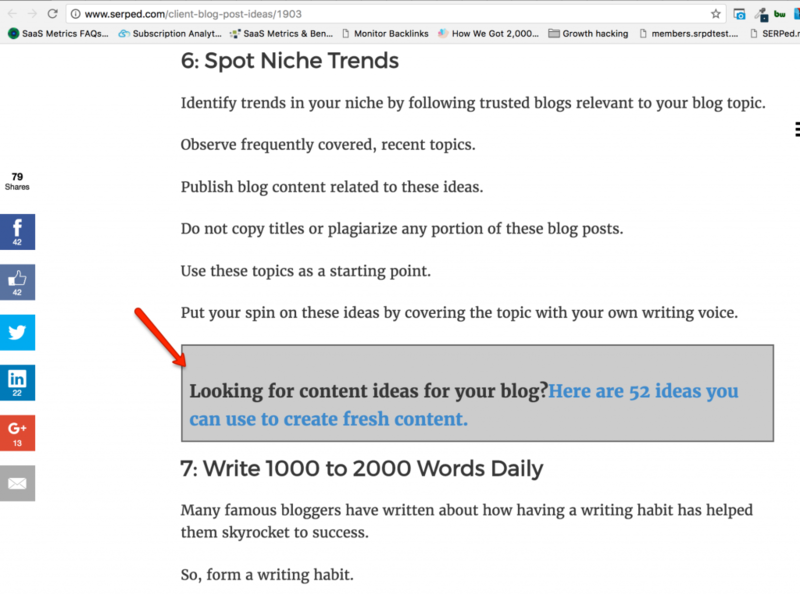 This allowed us to access the low hanging fruit from our blog and make traffic gains for just a couple of hours work. But there was still more to be done, and unlike the on-the-ball SEOs we usually are, we set about fixing some of our other on site mistakes. This included indexing all of our pages with Google and interlinking all of our posts where relevant. If you’re not sure about why you should be interlinking your posts, the simple reason is that it helps to spread ‘link juice’ around your site from other backlinks. 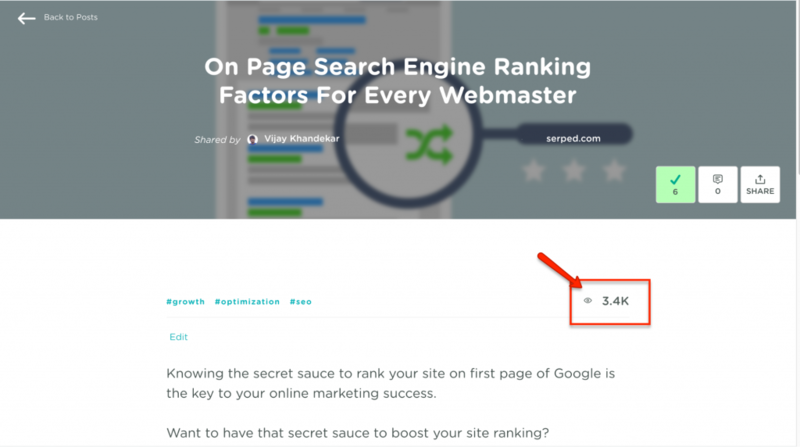 It also makes your site easier to crawl and can contribute to a higher on-site time. With our SEO foundations in place, it was time to turn our attentions to social. The next step for us was to narrow down the social media channel that was going to bring us the best returns. Like many businesses we tried to spread ourselves a little bit too thin. We tried too many different approaches on too many different channels. Instead of taking the time to get traction on one channel before moving to the next. Like we already said, it wasn’t impressive. But we’d been doing the bare minimum and it felt as though we could really eek the most out of these three. The signs were always there – the image below shows how well received our articles are on Facebook – but we always wanted more. So we set about cultivating a consistent schedule of posting on the three chosen social media channels. No paid advertising, no extra pushing. Just turning up and sharing what we’d written on the blog. 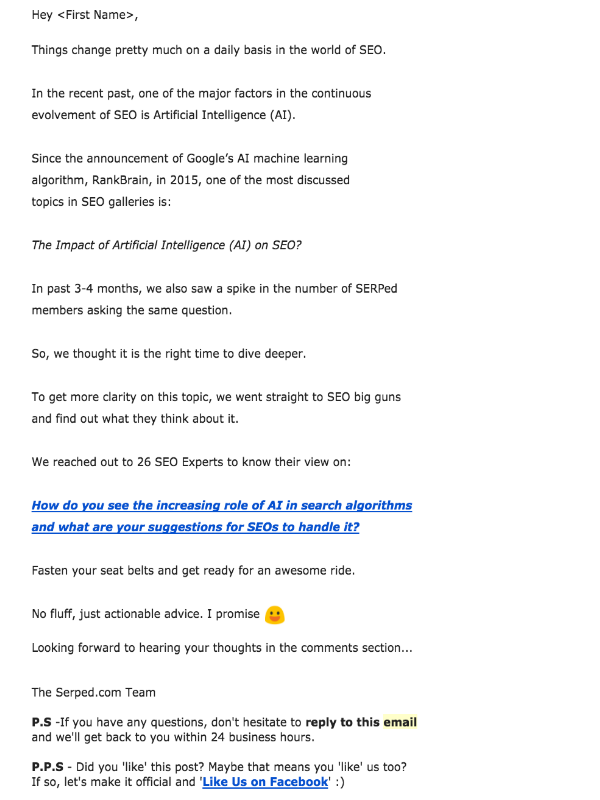 Want to read what 26 experts have to say on “How AI will change the way we do SEO”? Check out the full post here. We don’t hold back in our content when it comes to mentioning other brands or products that we love. Especially when they’ll make your life a lot easier. But we’d never really got around to telling them that we’d spoken about them. So the next step was to compile all of the people we’d mentioned on the blog and writing to them. On both of sides of the coin – content marketing and SEO – because they’ll give us exposure and increase our ranking signals. Win win, as we like to call it. If I’m honest we didn’t really get much luck in the six week period we’ve written about here. Nobody really got back to us. 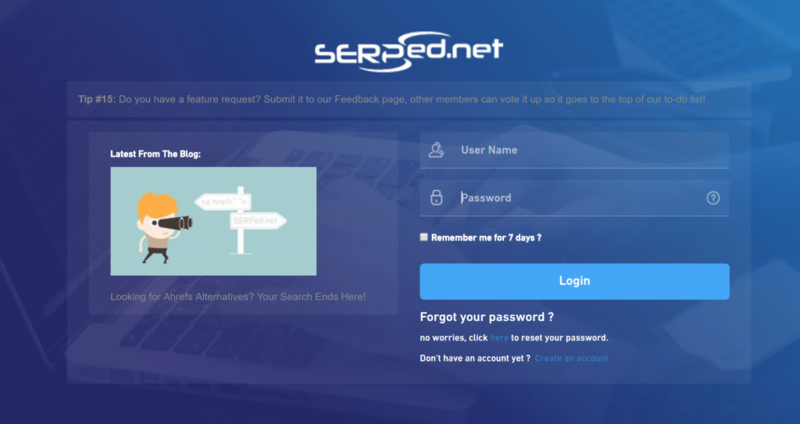 You may have noticed that the SERPed tool and the SERPed blog are hosted on different domains. So customers aren’t always naturally aware of our blog. We wanted more people from our own community to be receiving the posts and using the information shared. After all, not everyone reads their emails (more on emails later). So where’s the next best place for us? Where do our customers have to give us their attention without interrupting their use of the tool? The login page for the tool! We decided to add a latest from the blog section to the blog, which lead to more referrals. And a mini-PBN style link. If you have an external tool I highly recommend you use this method too. The next step was to make sure we were getting our content in front of the right people, as consistently as possible, in a place we had some control over. While we already had social in place, we didn’t want to spend money on advertising, so we needed an extra layer that allowed our content to be picked up by new people. And while I can hear a few of you sighing that this is all a little bit too easy in the Internet Marketing niche, the same principles apply in all niches. James, one of our team writers, applied the same principle to his German Expat blog through finding forums and got similar traffic results. But this is where our audience spends their time so we did everything we could to share our articles here and become active members of the community. This didn’t just give us a lot of traffic; it gave us a lot of targeted traffic. Many of whom converted back to our mailing list. 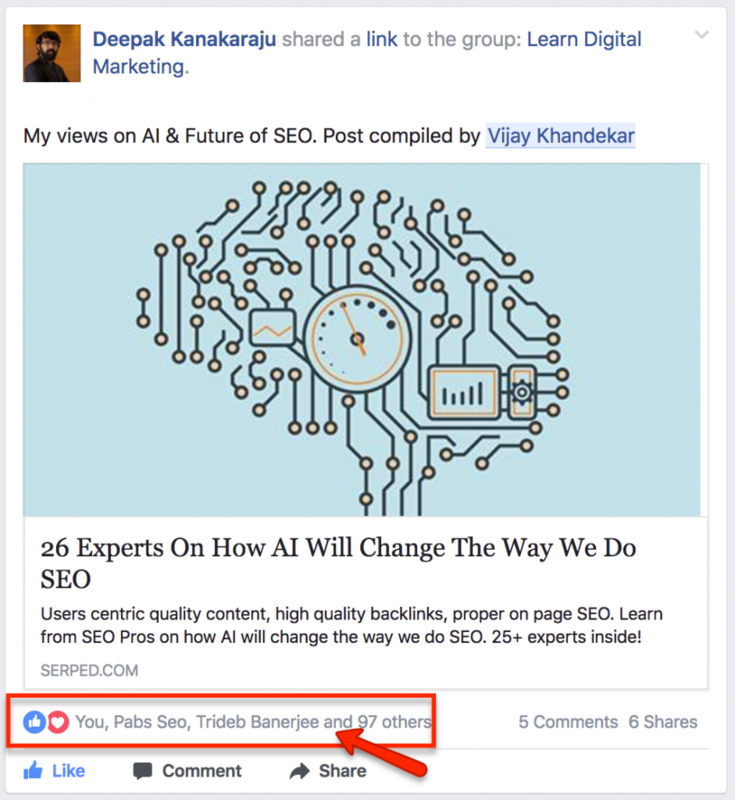 See what got this post a lot of attention in the Growth Hackers Community? Read the the full post here. Which brings us squarely to the final step. Like many blogs we have a mailing list. But, well…we’d let our relationship with them slip a little bit. This also just gave us a solid bump in traffic from the people that it really matters to have keep returning to our blog. Up until now reactivating our list is still a work in progress, but it’s getting there slowly but surely. 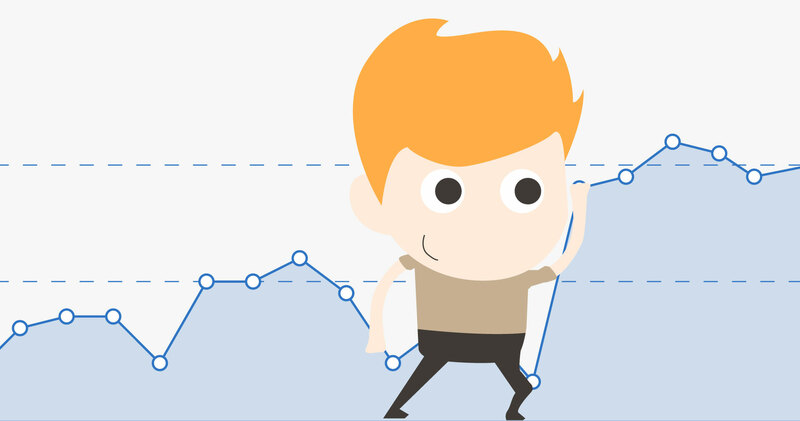 After implementing all of these steps we were able to see a traffic increase of nearly 63% in just the first sixty days. Not only that but the amount of people who visited more of our site was incredible. This was almost definitely influenced by our internal linking. Because almost 85% more pages were viewed for 63% more people. Now that is a good increase. But what was also brilliant about this month is that the results didn’t stop in the middle of December. In the new year we started to reap a lot of the rewards from our outreach too. This gave us a link back to our site, solid exposure and continued both our content marketing and SEO efforts. Not bad, eh? 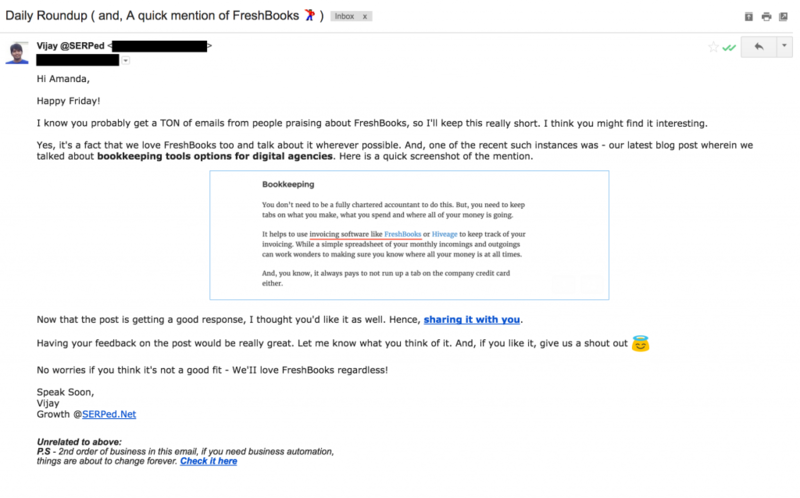 Here is the post that helped us convince the Freshbooks team and got us a place in their roundup. Check-out the post for 26 Step Formula To Start Your Own Digital Marketing Agency In 2017. The results here are by no means groundbreaking. But they are easy to replicate and they mark a significant increase in traffic for minimal workload. Plus bringing together our SEO efforts and Content Marketing plans together has allowed us to focus on one unified goal and make good increases in both categories. And, long term, we’re still reaping the rewards of that. But now I want to know what have you taken from this article? Anything that you want to use, or do you think we should have done something differently? Note: I’d just like to say a big thanks to Vijay, the head of growth here at SERPed. It was his hard work that really made this happen and his work is brilliant. I can only really take credit for writing about it. 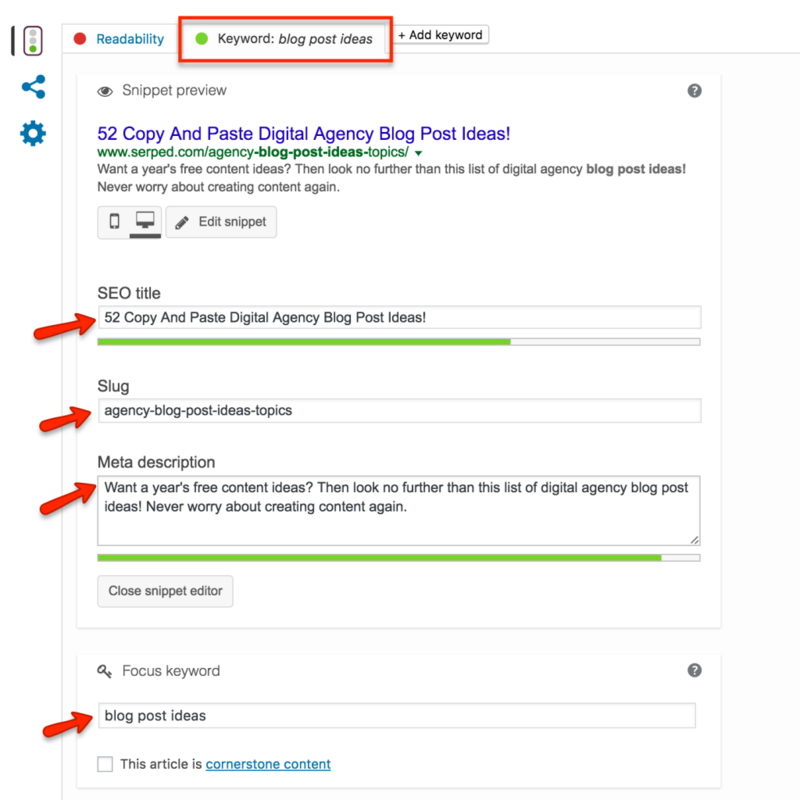 Share Your SEO/ Content Marketing Post Idea!